One of LCMC's goals for 2014 is to help fight hunger in the U.S. and abroad by preparing 400,000 meals together with Meals from the Heartland this fall. As an association made up of over 800 congregations worldwide, this is something that we can accomplish, but only if we work together! To make our service project happen, we are going to need two things: volunteers and supplies. We will be packaging the meals on Tuesday, October 7th from 5:00 to 7:00 P.M. as part of our 14th Annual Gathering in Des Moines, IA. In order to package all of the meals within our two hour time frame, we are going to need at least 1,000 volunteers to help out. Those who are interested in participating may sign up to do so by checking off one (or both!) of the "Meal Packaging Project" boxes on their Annual Gathering Registration Form. To date, there are 61 volunteers signed up to help package meals in the 5:00 P.M. to 6:00 P.M. time slot and 32 volunteers signed up to package meals from 6:00 P.M. to 7:00 P.M. This winter, we also began raising the funds needed to purchase food, packaging supplies and postage for the project. As of May 31, 2014, our association has collectively raised $40,750 towards the $80,000 we will need in order to reach our goal of packaging 400,000 meals. We've made it past the halfway point, but if we're going to raise enough money in the next three and a half months to purchase the supplies we need, we still have our work cut out for us. Those interested in making a donation to the project may do so by clicking here. 100% of donations will be used to help purchase supplies. Presently, LCMC is comprised of 714 congregations in the U.S. and a total of 820 congregations worldwide. 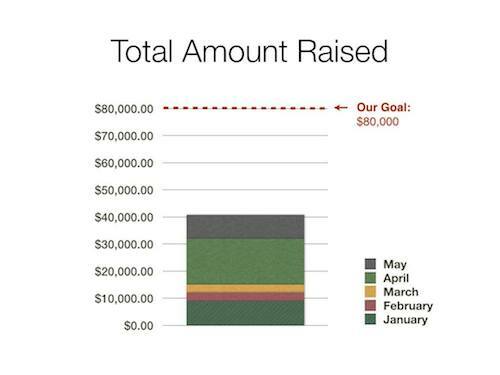 If each congregation were to give $100, we could achieve this goal in no time!